Many Smart DNS & VPN services offer free trials, and I assure you that OverPlay does not. And it can be a smart move, since plenty of people try to abuse them. Instead, OverPlay has something even better. Just follow this guide. Most known for circumventing geo-restrictions of video streaming sites, Smart DNS & VPN services of OverPlay are one of the most advanced with a huge coverage of TV channels. But obviously it’s also not the cheapest provider either. On top of that there is no free trial available. No matter what either sites say, free OverPlay trials do not exist! Use this link to get 1 month of OverPlay DNS for just 1 dollar. This is a very special offer, in which you get a whole 1 month package of OverPlay’s SmartDNS services for a mere $0.99, and if you optionally choose to continue from there, it will be the regular price of $4.95 from thereafter. Or you can get the first month for a discount of $4.16, if you want to go with the cheaper, yearly plan that costs $49.95 at it’s regular price. Instead of providing a very limited free trial, you get a whole month of freedom to play with their service, without limits, with very little. 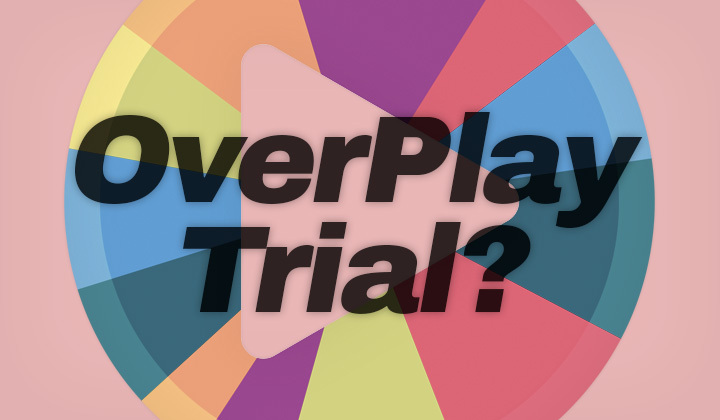 Is the OverPlay’s one dollar free trial working for you? Comments and questions this way, please! Not all, but some posts have affiliate links in them in support of the work put into the blog. My sincere wish is that my benefit is also your benefit. Humble thanks for your visit and interaction with my site. Warmest regards, David.